Make Your Distrubution Business Run Better. Markets are changing faster than ever before and this poses many challenges to today’s distributors. New competitors are entering the market, product categories are evolving rapidly, and customers are consuming products and services in new and different ways. These factors are driving unprecedented changes to the industry and your distribution business. Your biggest competitors have spent millions developing the digital tools that have reshaped customer and employee expectations. To keep up, you need to collect and harness the same powerful data and build online experiences that drive engagement and sales volume. The question is how will you respond to all of this? Will you be reactive in trying to keep up with the pace of change, or will you become a change agent and transform your business to harness change as a competitive advantage? To achieve these goals, you need the right systems and processes in place. 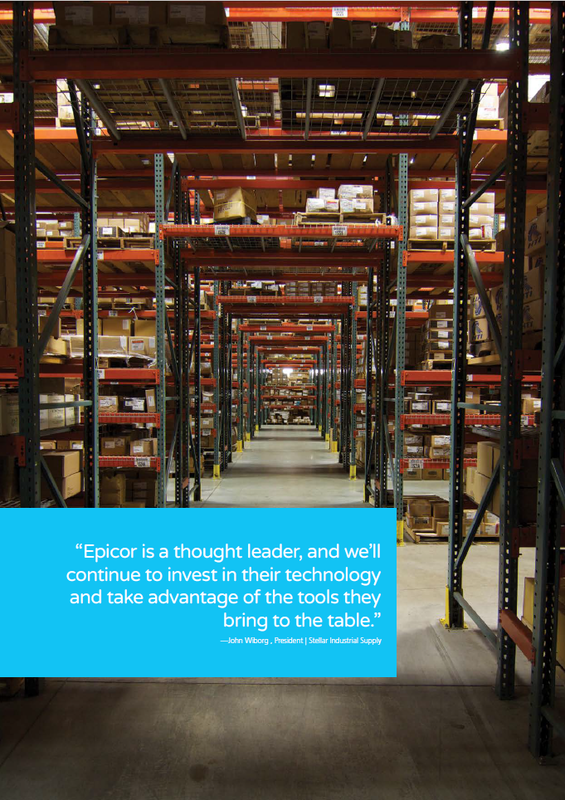 Prophet 21 is Epicor’s flagship product for distributors. Epicor P21 can be implemented on-premise or we can we host it for you in our data center. Prophet 21’s user interface has a similar look and feel to Microsoft Outlook, which makes it intuitive and easy to use. This also tends to make implementations go smoothly. The Prophet 21 distribution ERP software system is specifically architected to handle the high transaction volumes required to scale your distribution business. Prophet 21 has a familiar look and feel to any other Microsoft application and runs on Microsoft SQL Server. This makes it easy to use and provides the necessary scalability and reliability. Epicor P21 is capable of accessing real-time information from a wide range of data analysis platforms. Epicor has created a Customer Buying Trend Analysis module for Prophet 21 that applies a series of Six Sigma® statistical models to determine customers who have a proven, consistent buying pattern for specific items. The distribution ERP software system then reports on which of these customers’ buying habits are trending up or down the fastest on an item-by-item basis, and the financial impact this has on your company. If a customer should ever miss an expected buy according to projections, the application alerts you to the missed opportunity and amount of potentially missed revenue. At EstesGroup, we know technology is only a good investment when it makes your business run better when it improves deliverability, customer satisfaction, and financial forecasting. Together we will implement Epicor’s powerful Prophet 21 and customize every one of its amazing modules, technology, and features to ensure your distribution business is more scalable, delivers even better customer service, and of course more profitable than ever before. Download the Prophet 21 Brochure and let’s work together to make your distribution business run better.